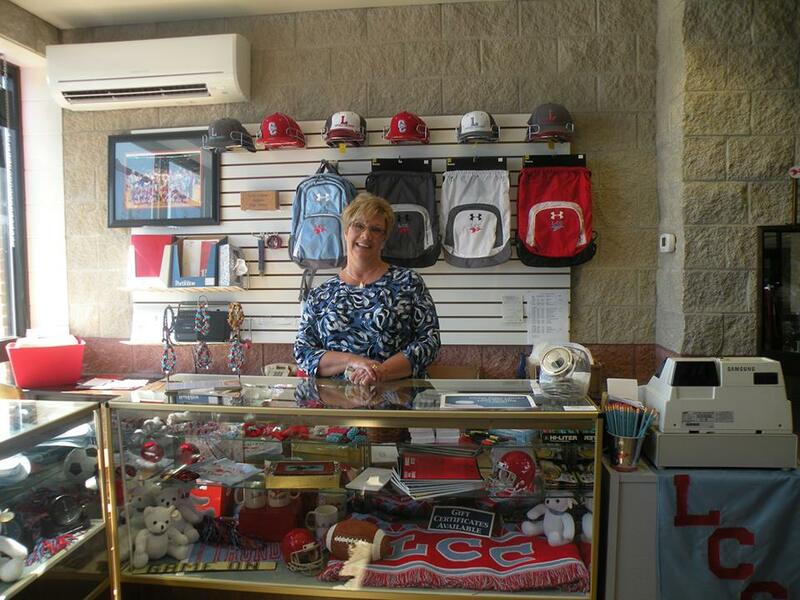 The LCC Book Store is the best place for LCC fans to purchase apparel and accessories to support the Thunderbirds. 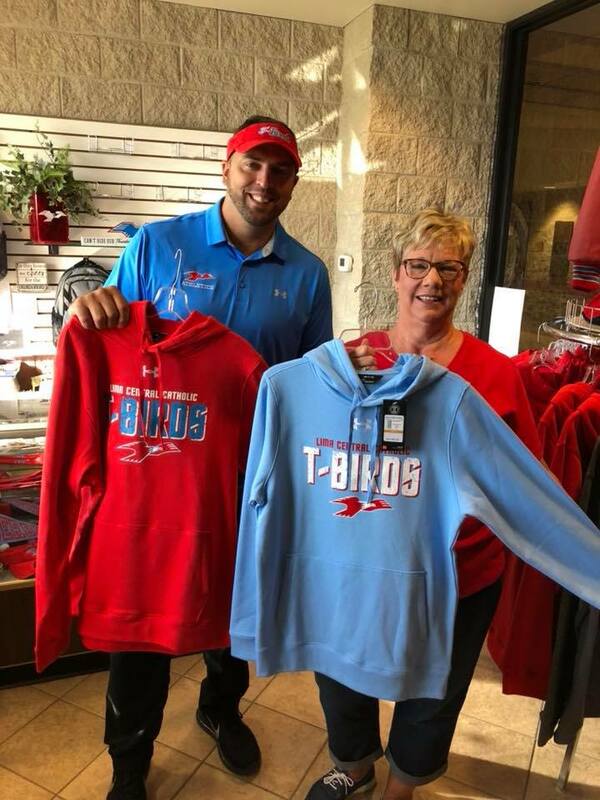 Located in the lobby of the new gymnasium, the shop is affectionately referred to as “the Book Store” even though it is mainly stocked with a wide variety of apparel in both adult and youth sizes. Although LCC students are not required to purchase textbooks, the shop does offer a limited amount of school supplies and other miscellaneous items that may be required for a class. The Book Store is operated by Lima Sporting Goods. Hours of operation are 7:30 am – 1:00 pm on school days, and prior to varsity sporting events in the Msgr. Herr Center Gymnasium. During November and December, the Book Store has special holiday hours from 5:00 – 7:00 pm on Thursdays as well. LCC apparel is also offered at the main retail location of Lima Sporting Goods, located at 1404 Allentown Road, and a percentage of all LCC sales are generously donated back to Lima Central Catholic.